After a European launch of its newest panel received minimal attention, the world’s largest panel maker wanted to showcase the product in the U.S. market. But Trina Solar faced an industry downturn and little perceived difference between competing manufacturers’ panels. Design and execute a U.S. product launch plan, showcasing the new Trina Solar panel as lead component in company’s commitment to being a full-service provider. When The Solar Foundation (TSF) released its second annual National Solar Jobs Census, it faced a number of challenges in getting media attention. TSF released the report in a crowded news environment, including the intense coverage of the high-profile Solyndra bankruptcy that had called clean-energy growth into question. But not only did the solar industry need a positive new lift that the Census’s encouraging findings could provide, TSF needed reporters to understand its Census’s rigorous methodology so it could be seen as the emerging standard in tracking clean-energy jobs. The Miami Herald, among others. In total, the launch of the Census has generated 334 on-message news hits and re-postings, as well as tens of millions of impressions to date. Challenge: Joby Energy was in the process of developing a visionary, high-altitude wind generation technology. The company was at a critical stage in its development. Founder and CEO JoeBen Bevirt sought government support for his cutting-edge technology, which requires restricted airspace within which to operate. Joby Energy chose Tigercomm to help it educate federal legislators and regulatory agency officials about the game-changing energy potential of high-altitude wind. 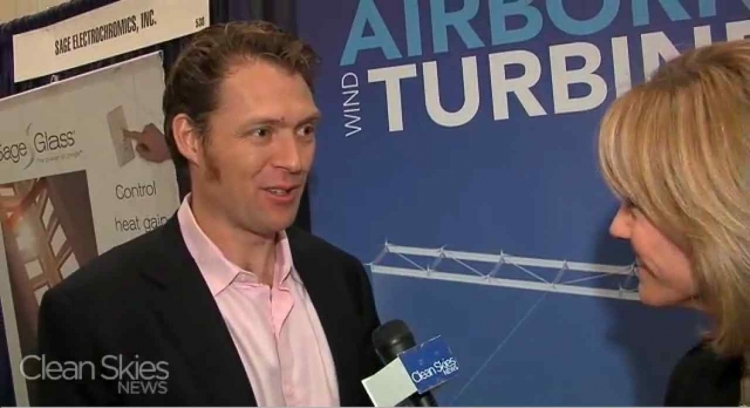 JoeBen was interviewed by CleanSkiesTV, and Joby Energy's technology was mentioned in an E&E News' ClimateWire story on the airborne wind industry, among other relevant trade publications. We also arranged face-to-face meetings with leading national energy outlets including Platts and The Energy Daily to build awareness of the company and its technology. Challenge: The solar industry used the December 2009 global warming treaty talks in Copenhagen to press the case for solar as a solution to climate change, the first time it did so at a United Nations sponsored event. Tigercomm's client, the Solar Energy Industries Association (SEIA) tasked Tigercomm with breaking through the fierce competition of more than 15,000 non-governmental organizations trying to get media attention at the contentious negotiations. We also had to navigate the logistical problem of communicating with an audience and reporters, that for the most part, were 4000 miles and five time zones from the conference. Challenge: SCHOTT, a German-headquartered company, wanted to build the identity of its North American solar PV business unit as a strong business partner of the communities that host its manufacturing operations. Challenge: In 2008, partisan gridlock in Congress had the Solar Energy Industries Association (SEIA) facing an uphill climb in its effort to win a long-term extension of the solar Investment Tax Credit (ITC) – considered the most significant solar federal policy ever enacted. The Challenge: Solar thermal energy industry leader Ausra was launching its first-ever U.S manufacturing facility. The company needed extensive local and national media coverage of the Las Vegas event to create a turning point for the solar thermal industry and open a gateway to subsequent projects.